Facial Neuromuscular Retraining (NMR) is a specific subset of occupational and physical therapy for improving functional outcomes in patients with facial paralysis, paresis and/or synkinesis after facial nerve injury. It is a growing field and gaining recognition as the essential element for achieving optimal recovery after facial paralysis. Our face identifies us as unique from all other individuals. It conveys emotions and communicates unspoken thoughts. It’s estimated that approximately 80% of our interpersonal communication is through non-verbal via facial expression. It is so much a part of us we are rarely conscious of it, The inability to move one’s face is not a simple cosmetic problem; it is a communicative disorder. No wonder facial paralysis can be so devastating. The main job of the facial muscles is to move the facial skin. They don’t move bones around joints or lift heavy objects. They don’t need a great deal of strength, but they do need precise coordination to create the wide variety of facial expressions we use to communicate every day. The ability to create expressions requires subtlety, accuracy and precise control of the 20 plus pairs of facial muscles. Facial retraining should not be confused with non-specific general therapies used for injuries to other body parts and then applied to the face (such as maximum effort gross facial exercises and electrical stimulation). The facial NMR process identifies neuromuscular firing and sequencing abnormalities and treats them by focusing on improving coordination between muscles as opposed to simply increasing their strength. It is based on the distinct anatomy of the facial nerve and muscles and their unique role in the human body for physical, social and emotional function. Since every face and recovery pattern is different, programs are tailor-made for each client and based on their individual functional profile and personal goals. Far from being a simple cosmetic issue, facial paralysis can result in significant functional and psychological consequences, substantially decreasing quality of life. Successful retraining reestablishes the exquisite movements fundamental to expression, interpersonal communication, eating, drinking, speaking and blinking, and other, normally spontaneous, functions. Jackie Diels has been a leader in the field of Facial Neuromuscular Retraining for over 30 years. She considers her practice as much a calling as a profession. Learn more. Working with Jackie Diels Facial Retraining is a collaborative process between therapist and patient. Through the years, Jackie Diels has helped people all over the world improve facial function through insightful analysis of complex facial movement patterns and her straightforward, interactive teaching style. Jackie Diels is regarded as a leading authority on facial neuromuscular retraining (NMR), a non-surgical therapeutic approach to the treatment of facial paralysis, paresis and synkinesis. 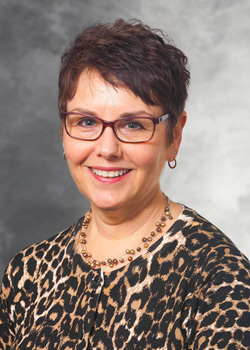 Jackie Diels' practice is dedicated solely to treating people with facial paralysis resulting from acoustic neuroma and other brain tumors, Bell’s palsy, traumatic injury and other causes. © Copyright 2018 Jackie Diels. Rights Reserved.